I get it… the base color is dark, the design’s color is not a basic rainbow color, and the dress has patterns. But it’s so cute right?? 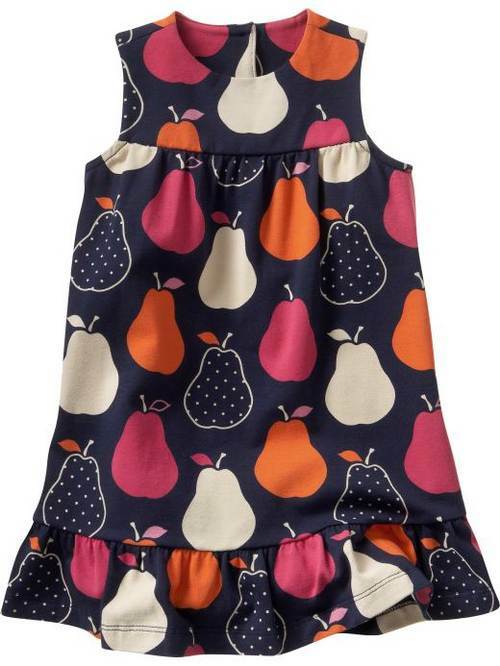 A retro pear dress that will make your fair complexion pop out. The pattern is playful, the cut is straightforward and girly, and the fabric is soft for active kids, plus it’s from baby gap! But I get hand swiping and head turns when I offer the dress. I’ll just have to wait until we go to the mall and will threaten if you do not wear it!